This installation of minimal human sound is drawn from audio recordings of over 100 individual silences. audience : hearing explores the quality of silent presence and offers visitors an opportunity to add their own living silence. The apparently empty space of the New Galleries gradually gathers presence as visitors begin to perceive the sounds of human silence. Layers of ambient sound are inlaid with the small, intimate traces of many individual presences ' a breath taken in, the sound of someone swallowing, shifting in a chair. These traces of personal silence will be heard sometimes individually, sometimes layered over one another, contrasting and merging, building to create the sense of an invisible gathering of people in the installation space, a presence both eerie and intimate. 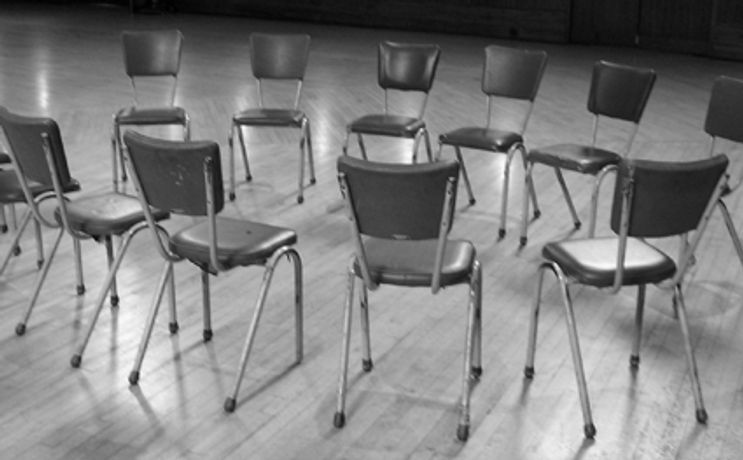 Drawn from audio recordings of over 100 ten-minute 'interviews' in which contributors were invited to remain silent with the interviewer, audience : hearing explores the quality of the silent presence, offering the visitor a sense of time spent in silence with others, a chance to focus on the intimate details of being which are often masked by speech and action, and an opportunity to add their own, living silence to this gathering. The recordings include a number made at the SLG in 2006, and these silences now return to the place where they originally arose. The work is presented in the New Galleries.